This book was published by Telluride Association shortly after LL Nunn's death in 1925, in an attempt to summarize the philosophies of the institutions. It went through several editions. A number of interesting early photos of Deep Springs. 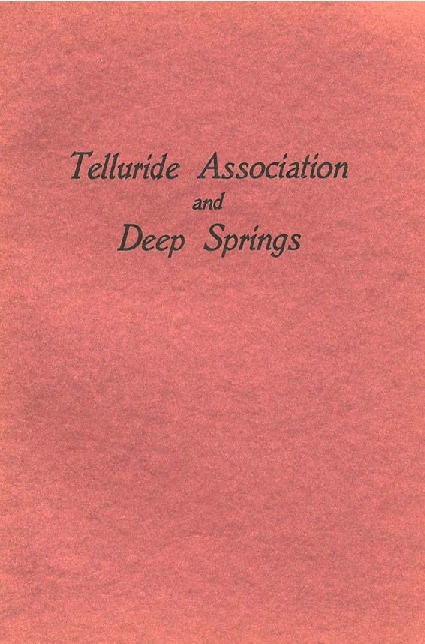 Committee of Telluride Association, “Telluride Association and Deep Springs,” Deep Springs Archive, accessed April 22, 2019, http://archive.deepsprings.edu/items/show/1322.